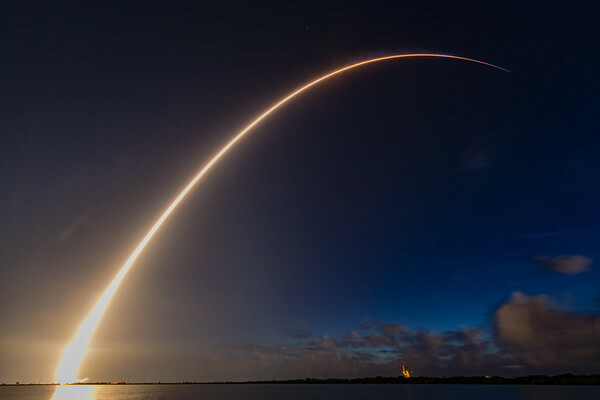 Pictures of the absolutely stunning #MUOS satellite launch atop an #AtlasV rocket (with 5 solid rocket boosters strapped on). 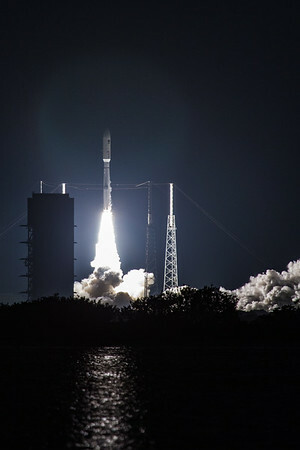 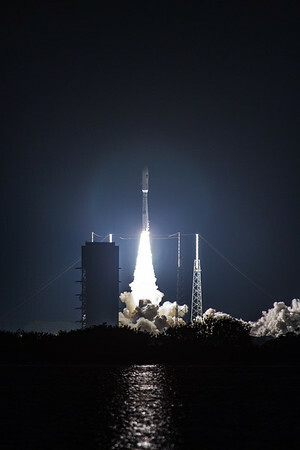 Congratulations to United Launch Alliance on a job really well done. 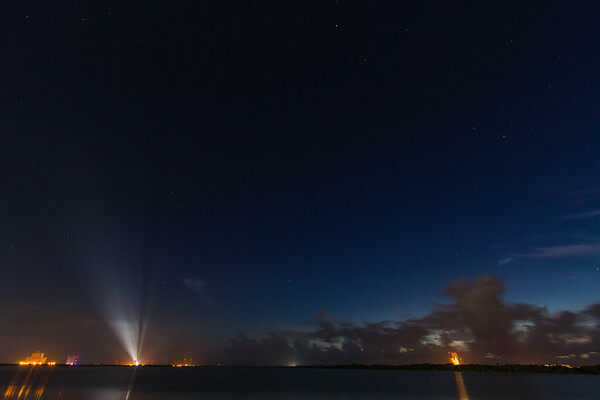 This is a 9-shot sequence of the MUOS4 AtlasV United Launch Alliance launch seen from Cape Canaveral Air Force Station on the morning of September 2, 2015. 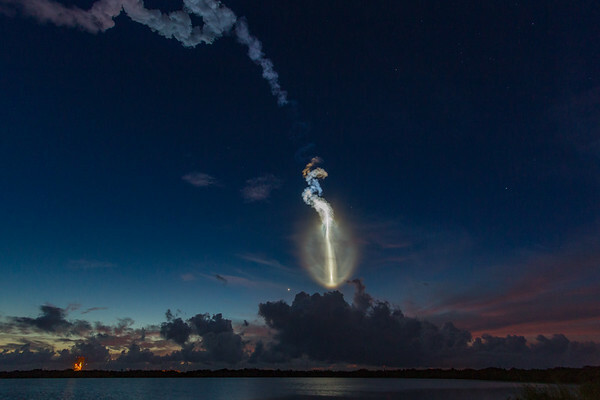 In particular, this shows the evolution of the dramatic plume that was illuminated by the rising sun. 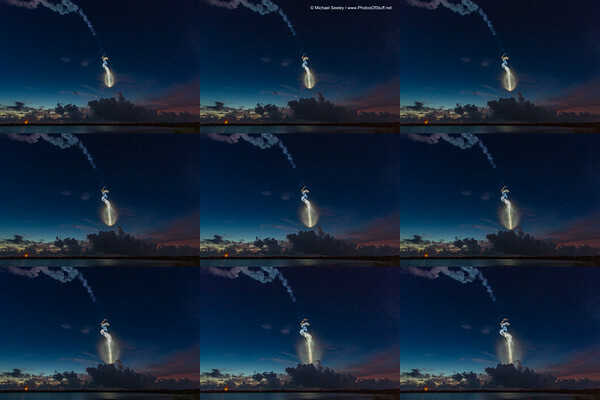 Liftoff was at 6:18am - The sequence spans roughly one minute of flight time, beginning at 6:20:47am (top left) and ending at 6:21:41am (bottom right).